On the Urubamba’s Valley, Machupicchu fits within the spectacular framework provided by the lush vegetation of the nearby jungle and the rugged landscape. 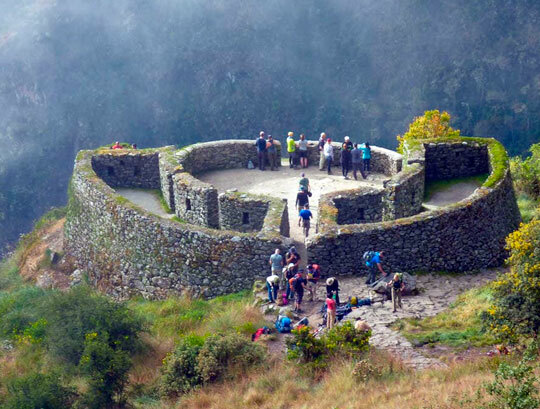 The Inca Trail is just a small part of the Inca road system (Qapacñan), which integrates the four regions of the Empire called Tawantinsuyu. This hike of around 45 km, last four days, ending in the Sanctuary of Machu Picchu. 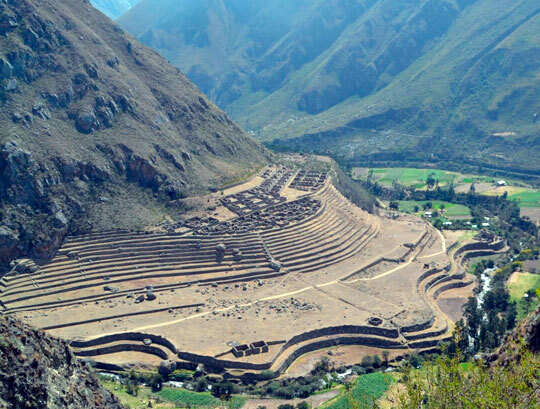 What makes this trip so special is the combination of Inca archaeological sites, incredible views, exotic vegetation and extraordinary ecological variety. Food: Snack, lunch and dinner. After a breakfast, begin our second day of hiking, perhaps the most difficult because we have to reach our highest point called Wuarmihuañusca to 4.200 m. Here we can enjoy a panoramic view of the mountain ranges in this region. After lunch we star going down into the valley of Pacaymayo (3800 masl) where we will make our second camp. Food: Breakfast, snack, lunch and dinner. Early in the morning, after walking 30 minutes we will visit the archaeological site called Runquracay. 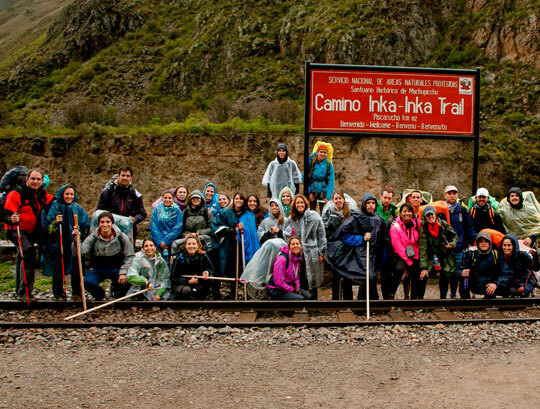 From here we start walking the "original" Inca Trail which is paved entirety. 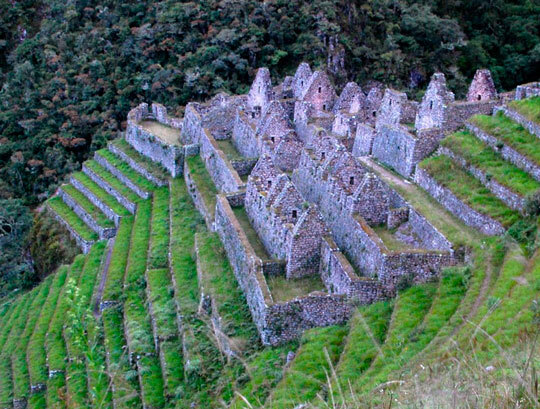 In some places reaching up to 2 meters wide and you can see the quality of Inca architecture, visiting Sayacmarca, beautiful building, besides on the way we will pass through a tunnel and then we will arrive to the archaeological complex of Puyupatamarca. From this point we have to start going down in a very interesting path, with a dense vegetation on the edge of forest rich in flora and fauna. 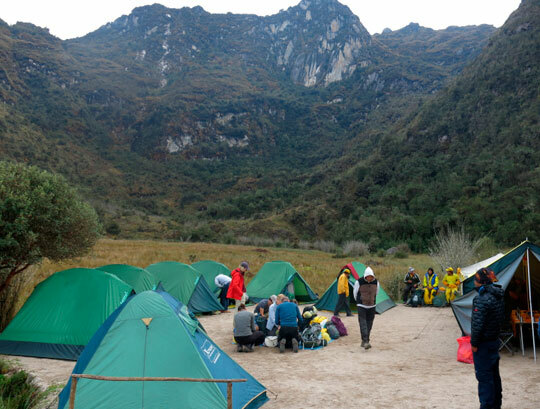 After two hours we arrive at Wiñaywayna (2700 m), where we spend our third camp. After breakfast, we start the walk so we can reach the Inti Punku (Sun’s gate), known as the gateway to Machu Picchu, from this place we can have our first impressive panoramic view of the Sanctuary. Upon arrival to Machu Picchu, take a guided tour through the city, visiting the major sites and monuments such as the Main Plaza, the Circular Tower, the Sacred Solar Clock, the Royal Quarter, the Temple of Three Windows and the cemeteries. Then you will have free time to explore the area on your own. Transportation to Machupicchu Town (Aguas Calientes) for lunch (not included). In the afternoon return to Cusco by train. Upon arrival in Cusco, transfer to the hotel. - Transportation to Km 82. - Camping equipment (tent, dining tables, chairs). 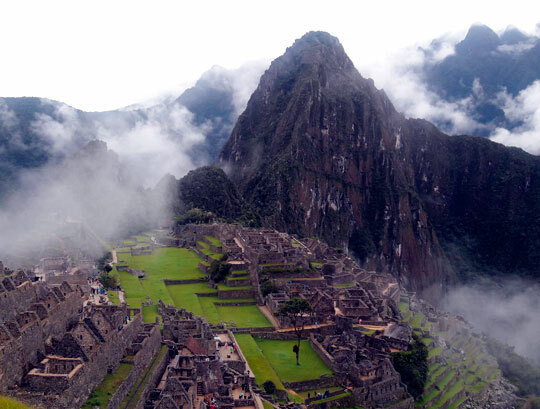 - Return train ticket (Machu Picchu to Cusco). - Transfer back to the hotel in Cusco. 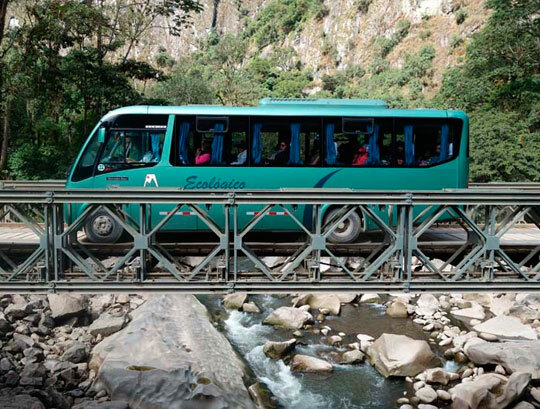 - Bus ticket round trip Aguas Calientes to Machu Picchu. 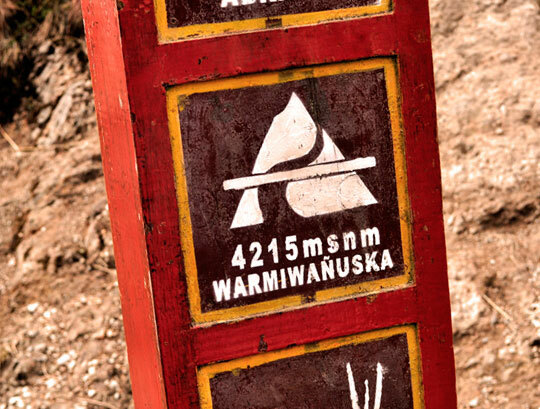 - Entrance ticket to the Inca Trail and Machu Picchu. (I.N.C.). - Walking sticks, boots, flashlight and personal backpack. (*) Rates Consetur and INC are subject to change.